In Ban Phan Luang, across the Nam Khan River from Luang Prabang, Laos. 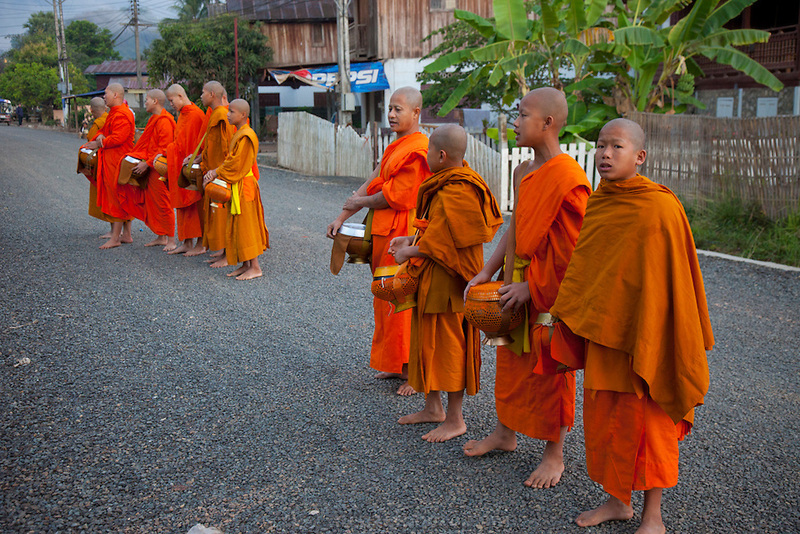 Every morning at dawn, Buddhist monks walk down the streets collecting food alms from devout, kneeling Buddhists. In neighborhoods, after receiving food, they line up and chant a blessing towards the benefactor's house.They then return to their temples, or wats, and eat together. This procession is called Tak Bat, or Making Merit.